Medicare Supplement insurance costs in Philadelphia can vary by as much as 103.5 percent. That is for virtually identical insurance coverage. We show some real examples below. 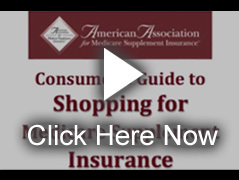 The American Association for Medicare Supplement Insurance encourages consumers to learn about this important protection. Medicare Supplement insurance is sometimes called Medigap. You’ll see that we use the two terms interchangeably on our website. Our Association does NOT endorse, sell or recommend any particular insurance company or Medigap policy. We see our role as an advocacy and educational organization. We serve both consumers and insurance professionals who market Medicare insurance protection. The Association maintains the nation’s largest online database of local Medigap insurance agents. You can use the online look-up to find local Medicare Supplement insurance agents. It’s FREE TO USE. It’s ANONYMOUS. You DO NOT ENTER any of your own personal information to access the directory. SIMPLY CLICK THIS LINK to access the Association’s Directory. 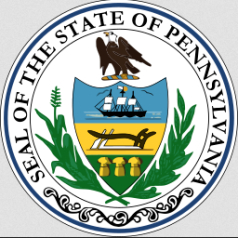 You will see agents throughout the State of Pennsylvania. Lowest cost for Plan F, non-smoker, no discounts = $145.52-per-month. Highest cost for Plan F, non-smoker, no discounts = $457.75-per-month. Lowest cost for Plan F, non-smoker, no discounts = $167.19-per-month. Click this link to see Medigap rates in other major cities across the U.S. Choosing the right Medicare insurance policy can be confusing. There are options and often they can vary significantly. The policy your friend or relative living nearby may not be available to you. The price you pay for Medigap insurance can vary based on your Zip Code. We believe your first important choice is finding a professional to work with. You want someone who is committed to explaining your options and helping you make a decision that’s best suited to your needs – your health preferences – and, of course, your budget. Some Medigap insurance professionals will do this all over the telephone and/or Internet. Others will have you meet in their offices. Some will come to see you in your own home. Agents do not charge for this valuable assistance. They earn a commission built into the Medigap insurance policy that is paid to them by the insurance company.